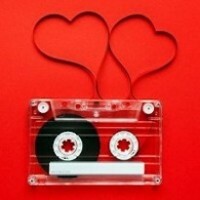 A Valentine’s Day Playlist and an Anti–Valentine’s Day One, Too! If you’re teaching a cycling class on Valentine’s Day and are looking to freshen your playlist with some new music, then you need to check out our Valentine’s Day and Anti–Valentine’s Day playlists. The Valentine’s Day playlist includes your standard lovey-dovey, emotional, heartfelt love songs; whereas our Anti–Valentine’s Day playlist celebrates Singles Awareness Day, a humorous holiday where those not in a relationship celebrate the fact that they don’t need a significant other to complete them. Let’s face it, not everyone likes Valentine’s Day. Mixing songs from both of these playlists will ensure you’ve got all your bases covered and you’re not excluding anyone. You can download the playlists below and find the Spotify links. Make sure to check out our Valentine’s Day profiles if you haven’t already. And if you have any additional suggestions, please leave them below in the comments so we can add them to next year’s list!